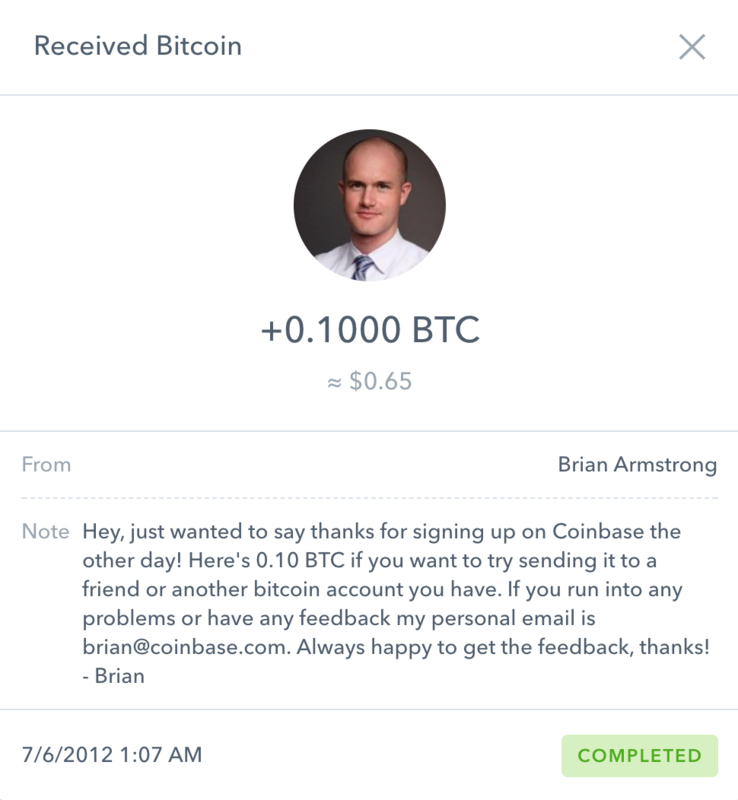 I can actually look up how long I have by logging into my Coinbase account, looking at the history of the Bitcoin wallet, and seeing this transaction I got back in 2012 after signing up for Coinbase. Bitcoin was trading at about $6.50 per. If I still had that 0.1 BTC, that’d be worth over $500 at the time of this writing. In case people are wondering, I ended up selling that when a Bitcoin was worth $2000. So I only made $200 out of it rather than the $550 now. Should have held on. Despite knowing about Bitcoin’s existence, I never got much involved. I saw the rises and falls of the $/BTC ratio. I’ve seen people talk about how much of the future it is, and seen a few articles about how pointless BTC is. I never had an opinion on that, only somewhat followed along. Similarly, I have barely followed blockchains themselves. Recently, my dad has brought up multiple times how the CNBC and Bloomberg stations he watches in the mornings bring up blockchains often, and he doesn’t know what it means at all. And then suddenly, I figured I should try to learn about the blockchain more than the top level information I had. I started by doing a lot of “research”, which means I would search all around the internet trying to find other articles explaining the blockchain. Some were good, some were bad, some were dense, some were super upper level. Reading only goes so far, and if there’s one thing I know, it’s that reading to learn doesn’t get you even close to the knowledge you get from programming to learn. So I figured I should go through and try to write my own basic local blockchain. A big thing to mention here is that there are differences in a basic blockchain like I’m describing here and a ‘professional’ blockchain. This chain will not create a crypto currency. Blockchains do not require producing coins that can be traded and exchanged for physical money. Blockchains are used to store and verify information. Coins help incentive nodes to participate in validation but don’t need to exist. The reason I’m writing this post is 1) so people reading this can learn more about blockchains themselves, and 2) so I can try to learn more by explaining the code and not just writing it. In this post, I’ll show the way I want to store the blockchain data and generate an initial block, how a node can sync up with the local blockchain data, how to display the blockchain (which will be used in the future to sync with other nodes), and then how to go through and mine and create valid new blocks. For this first post, there are no other nodes. There are no wallets, no peers, no important data. Information on those will come later. If you don’t want to get into specifics and read the code, or if you came across this post while searching for an article that describes blockchains understandably, I’ll attempt to write a summary about how a blockchains work. If you want to look at the code, check out the part 1 branch on Github. Anyone with questions, comments, corrections, or praise (if you feel like being super nice! ), get in contact, or let me know on twitter. And that’s it! For now. There are tons of questions and features for this blockchain that I haven’t included. There will be more parts of the series coming where I’ll move forward with solving these questions. So if you have suggestions of what parts you want to see, let me know on twitter, comment on this post, or get in contact! Thanks to my sister Sara for reading through this for edits, and asking questions about blockchains so I had to rewrite to clarify. On my Ubuntu 16.04 system, the last file read from sync.py is always 000000.json. last_block = node_blocks[-1] # will index to node 0, node 1 will be over written. # can’t assume the system read the file inorder. # new code to find the last block with the highest index. Yup, got that feedback from a couple others. There was a pull request that should have solved this for you. Check it out to see if it did, and always feel free to make a pull request yourself if you come across another issue. First of all – Good job! Your explanations are great. In your source code : https://github.com/jackschultz/jbc/blob/part-1/mine.py , line 36. You change your data string *AFTER* you already calculate the hash of a block with different data. Isn’t mistake? If not, how is it possible?